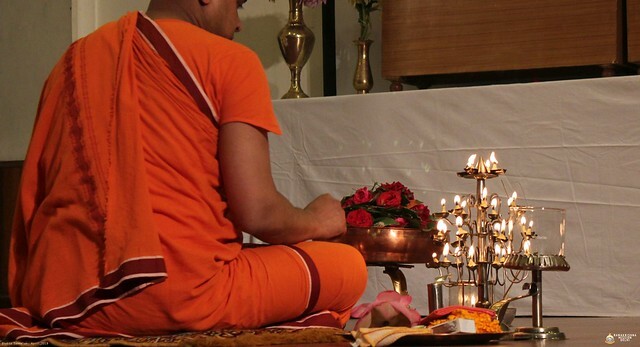 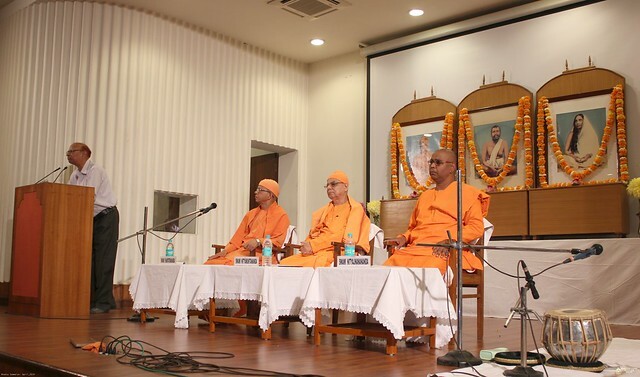 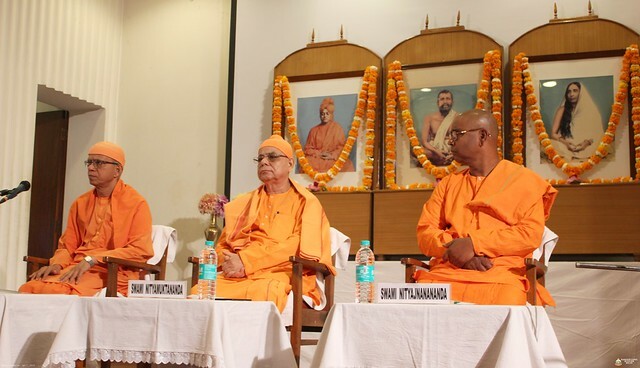 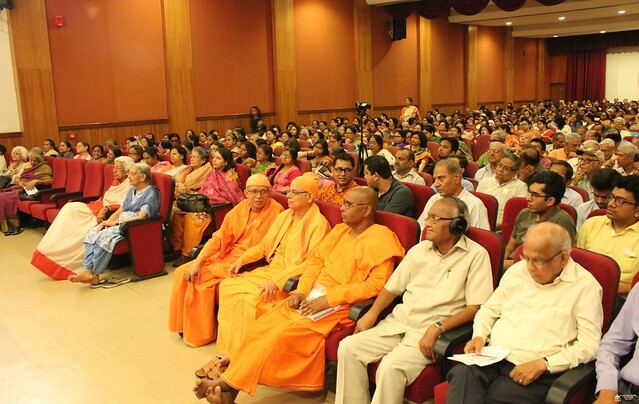 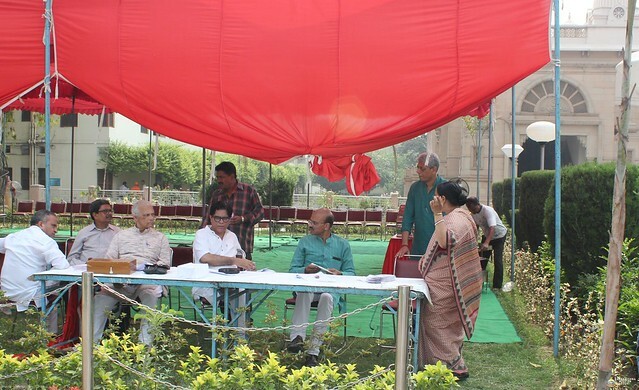 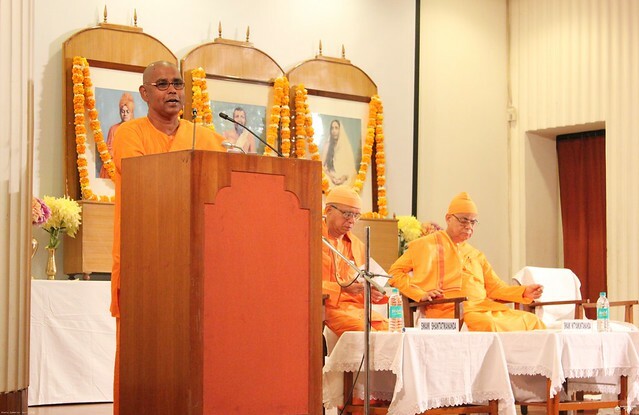 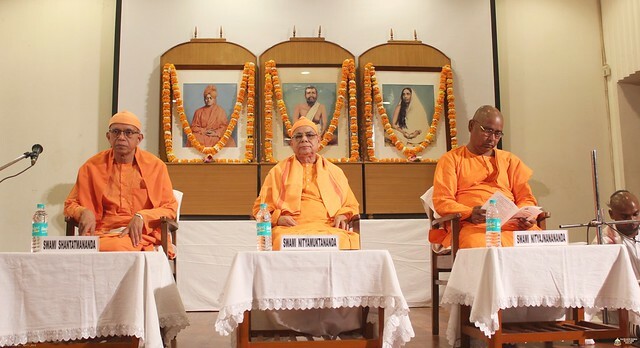 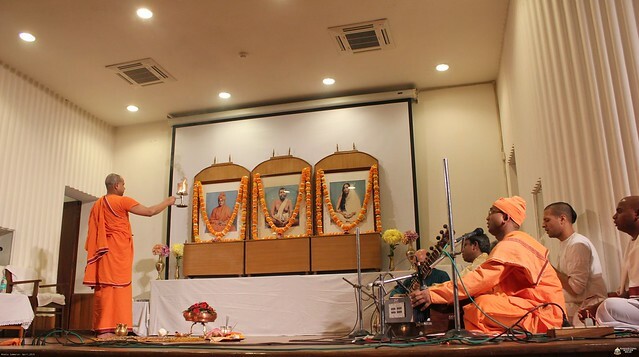 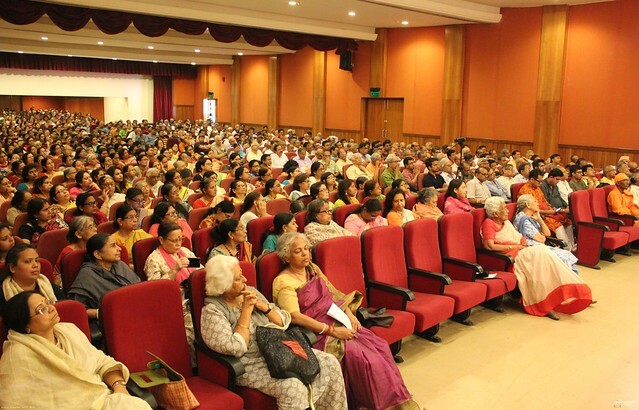 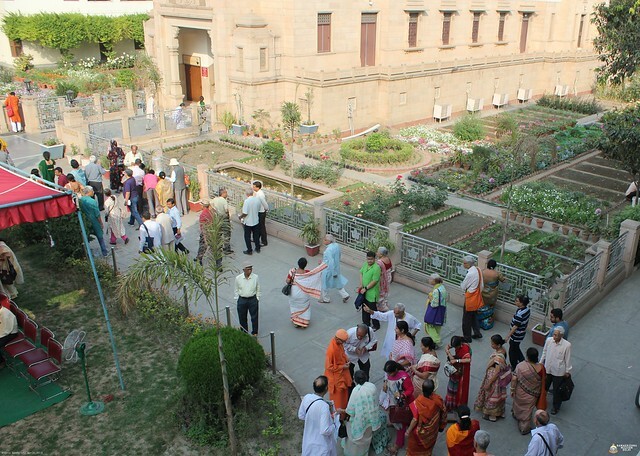 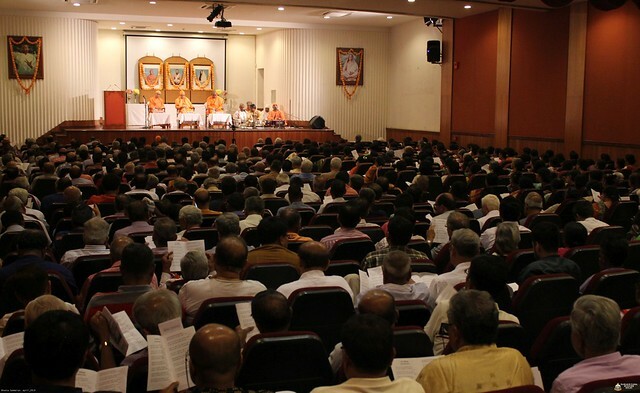 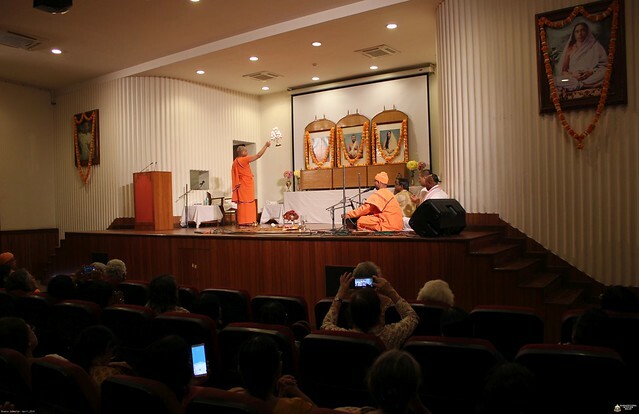 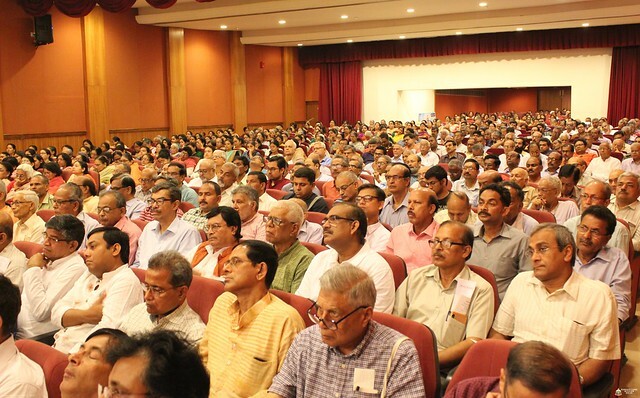 A Spiritual Retreat (Bhakta Sammelan) held on Sunday, the 7th April, 2019 at Ramakrishna Mission, New Delhi. 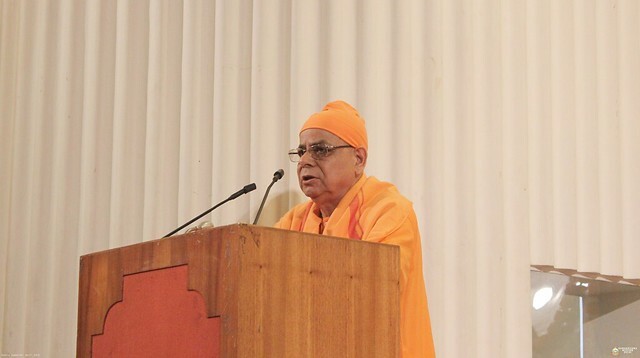 Revered Swami Nityajnananandaji Maharaj, Secretary, Ramakrishna Mission Ashrama, Bhopal, and Revered Swami Nityamuktanandaji Maharaj, Adhyaksha, Ramakrishna Math, Baghbazar, were the main speakers. 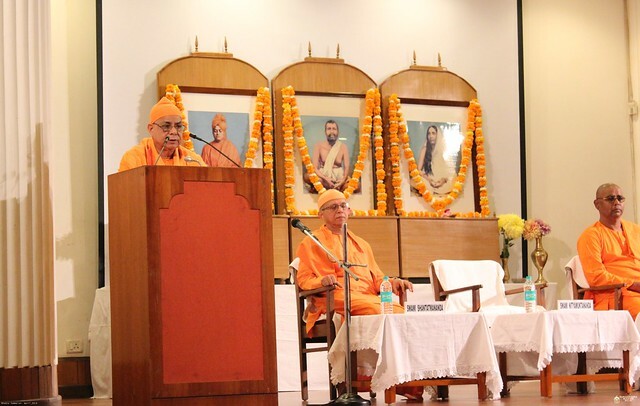 Revered Swami Shantatmanandaji Maharaj also spoke on the subject of the day. 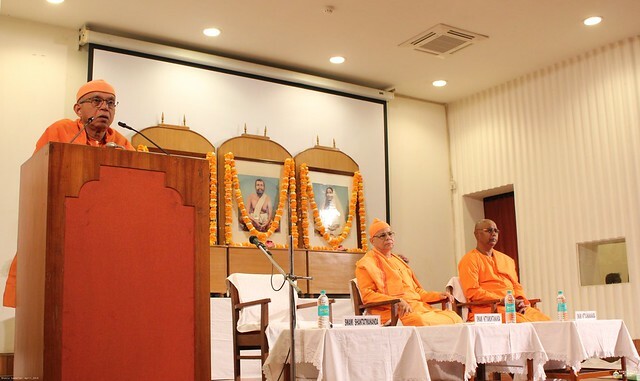 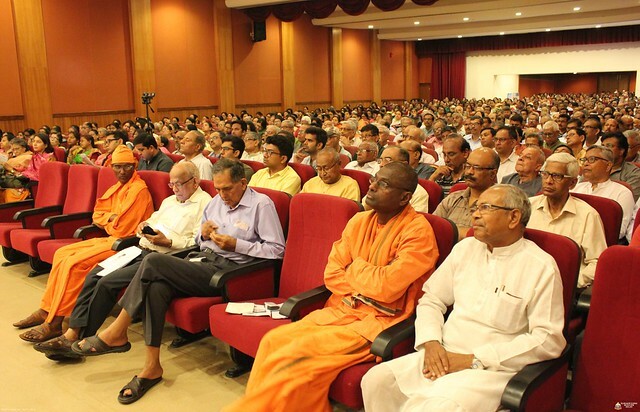 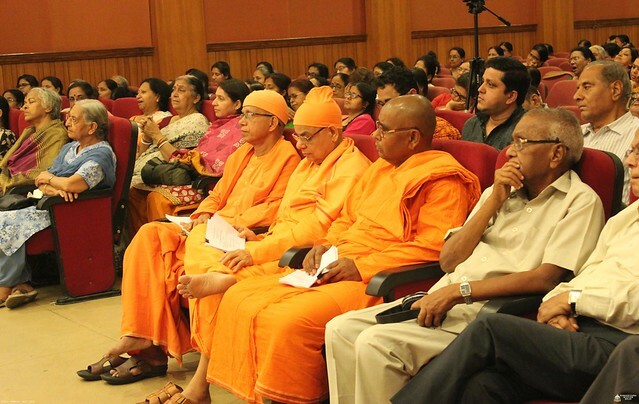 The topic of the Sammelan was “Sri Ramakrishna the Embodiment of Harmony”. 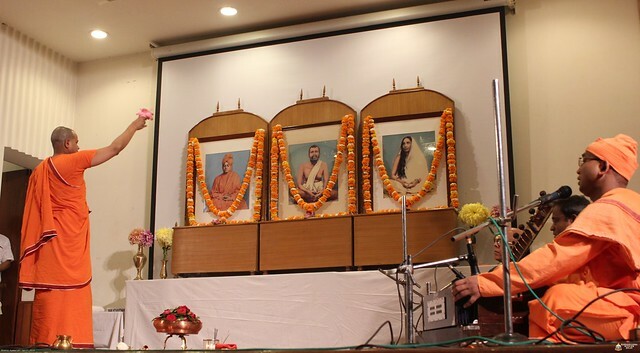 After the speeches were over, the devotees attended Aratrikam in the Vivekananda hall itself led by Swami Amritamayanandaji Maharaj. 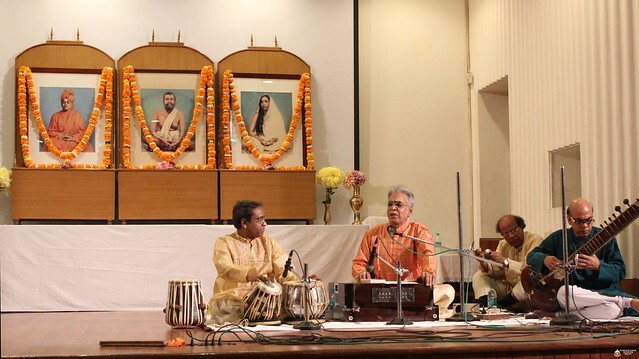 “Khandanabhava bandhana…… ” was led by Swami Dhruvarupanandaji Maharaj accompanied by Shri Siddharth Bhattacharya on tabla and brother monks. 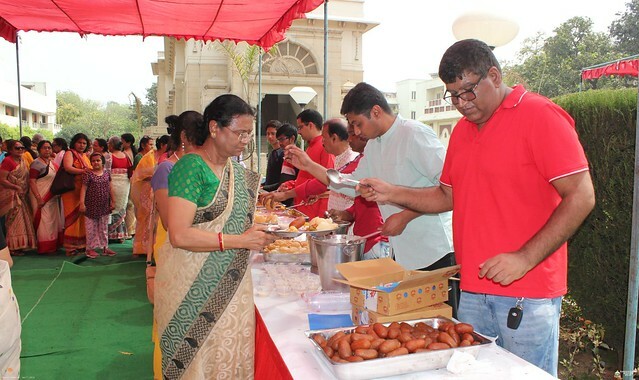 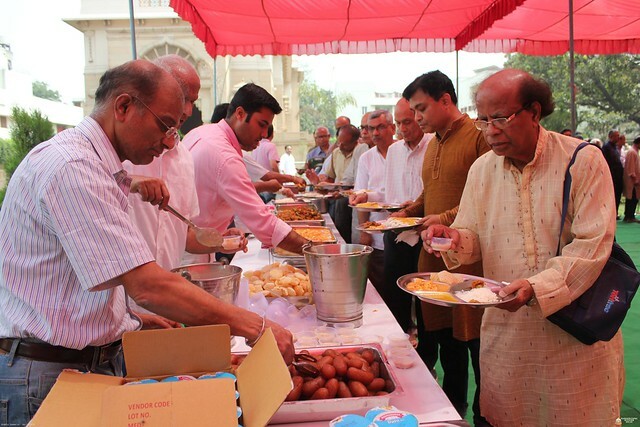 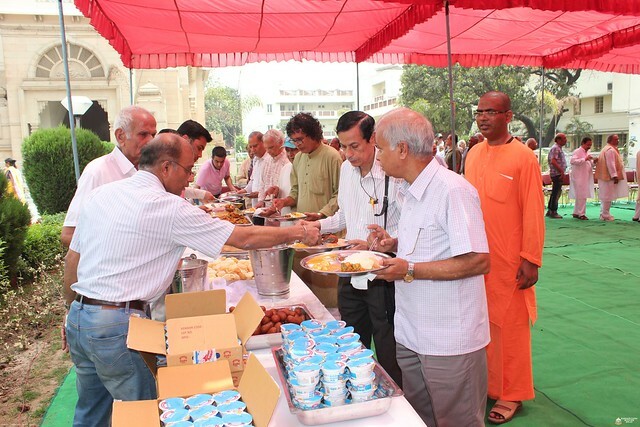 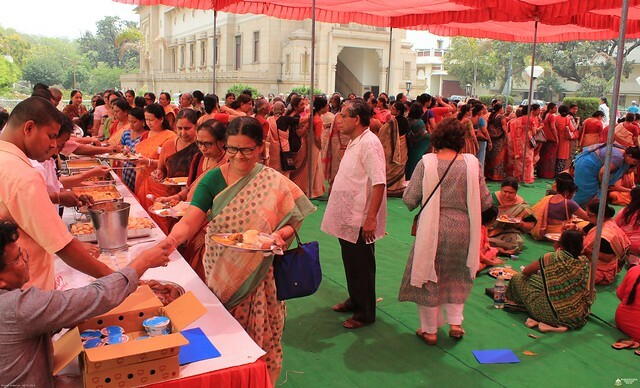 After Aratrikam all the delegates were served lunch, cooked under the guidance of Revered Swami Tyagamayanandaji Maharaj in the Ashram by the volunteers and the staff members. 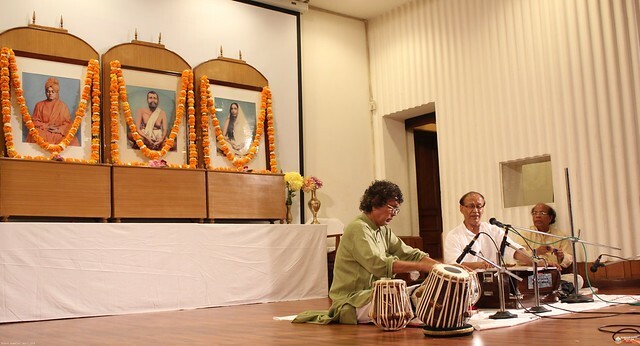 The afternoon session started with the singing of a few devotional songs by Shri Champak Chatterjee and Shri Chandranath Mukherjee accompanied by Shri Siddharth Bhattacharya on Tabla. 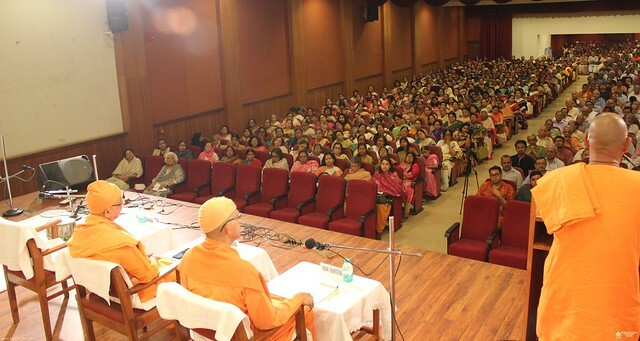 This bhajan programme was followed by an interesting Question-Answer session. 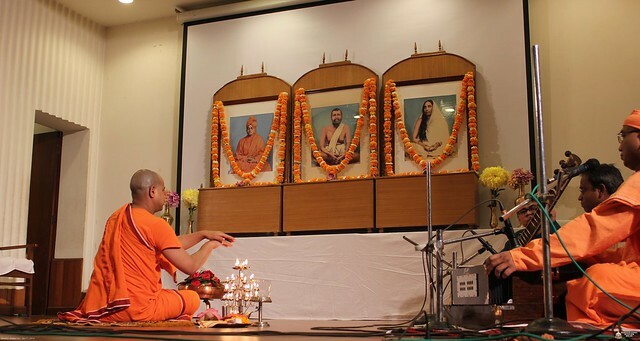 This was followed by the singing of “Ramakrishna Sharanam” in chorus by all delegates led by Swami Dhruvarupanandaji Maharaj and the brother monks.